Swiss luxury brand Bally continued its on-going partnership with charity Delete Blood Cancer DKMS, with an event to celebrate the brand’s recently opened Beverly Hills flagship store. The exclusive evening was held at the Bally Flagship Store at Rodeo Drive on Tuesday 17th May 2016 from 6PM to 8:30pm. 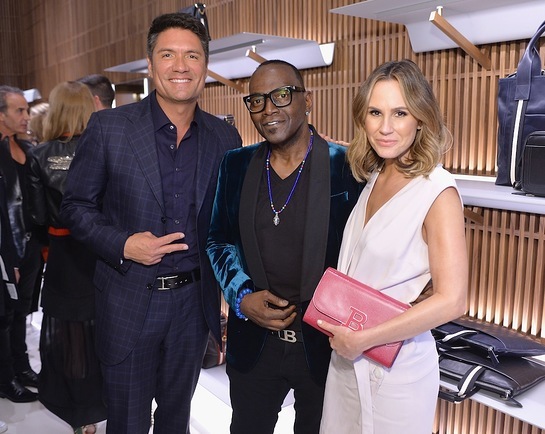 Hosted by Grammy-award winning record producer Randy Jackson, DKMS co-founder Katharina Harf and Bally Americas CEO Claudia Cividino, the exclusive cocktail evening featured a special performance from Grammy nominated recording artist Jazmine Sullivan. To mark this collaboration Bally designed a limited edition red leather envelope, in calf leather and water snake skin, priced at $350 and $850 respectively. The envelopes were available to purchase at the exclusive event, with all proceeds going to Delete Blood Cancer DKMS. 20% of all other sales from the evening were also donated to the cause.